The company is starting the service in a small area of Canberra, but it expects to expand its delivery zone in the coming months. 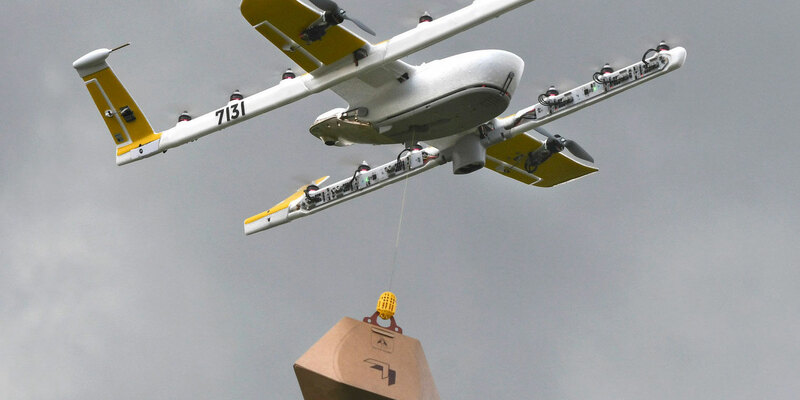 Google/Alphabet unit Wing has launched drone-to-home delivery service in select neighborhoods in Canberra, Australia. Consumers can order beverages, food, and drug store items such as coffee, gelato, and over-the-counter medicines from merchant partners via the Wing mobile app and have their goods within minutes. For now, deliveries are limited to select consumers in the suburbs of Crace, Palmerston, and Franklin. Wing expects to gradually expand to more customers in Harrison and Gungahlin in the coming weeks and months. Wing has been testing drone delivery in Australia since 2014. Over the past 18 months, it has delivered food, small household items, and over-the-counter drug store products more than 3,000 times to Australian homes in the communities of Fernleigh Park, Royalla, and Bonython. The company said the feedback it received during those delivery trials helped it to refine its operations and that it will continue to expand operations. Its delivery service required approval from Australia’s Civil Aviation Safety Authority (CASA), which attached a variety of conditions, including no flight over major roadways and none before 7 a.m. Monday through Saturday and 8 a.m. on Sundays. Flight over persons is permitted within the boundaries of five meters above and two meters laterally. Wing announced its intention to launch a similar service in Finland in December.